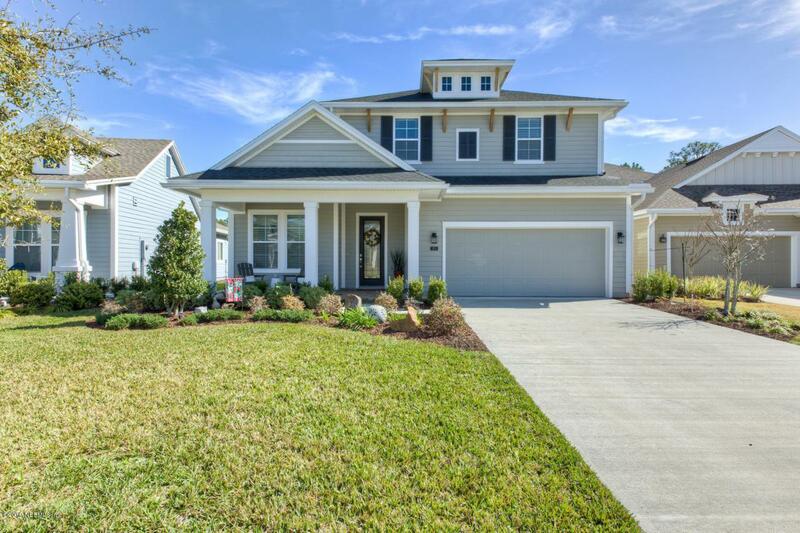 DON'T WAIT for your home to be BUILT, enjoy Nocatee NOW! Drive your golf cart to drop off the kids at the new K-8 school down the street. Beautiful preserve homesite, with screened in extended lanai to make the perfect outdoor living area. This lovely home site will also accommodate a pool! The Timuqua features an upgraded gourmet kitchen with beautiful quartz countertops and glass backsplash! Lovely hard wood floors throughout and upgraded lighting fixtures. This spacious home boasts 20' soaring ceilings and is a must see. Puppy fencing in the backyard and Top ranked Dog park for your furry friends.